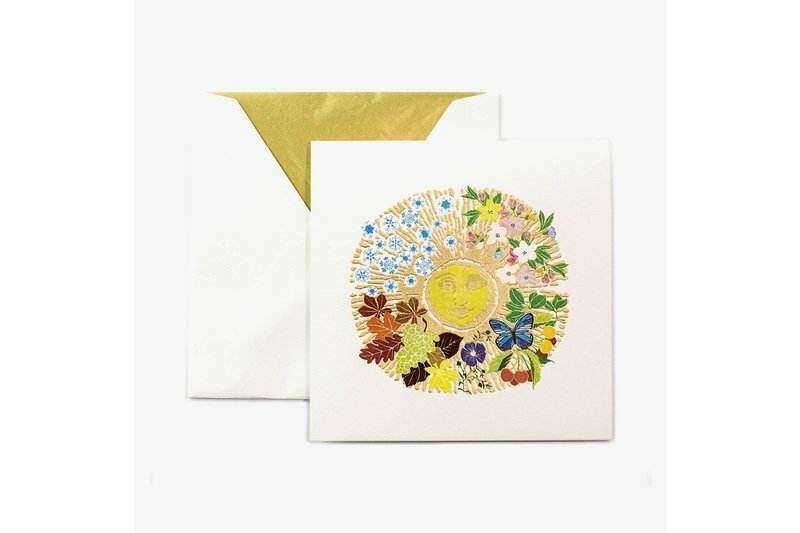 This wonderfully opulent card is produced by Jan Petr Obr in Czech Republic with an traditional embossment technique. Use it for wedding gratulation, baby´s welcome, birthdays and a lot of more occasions. 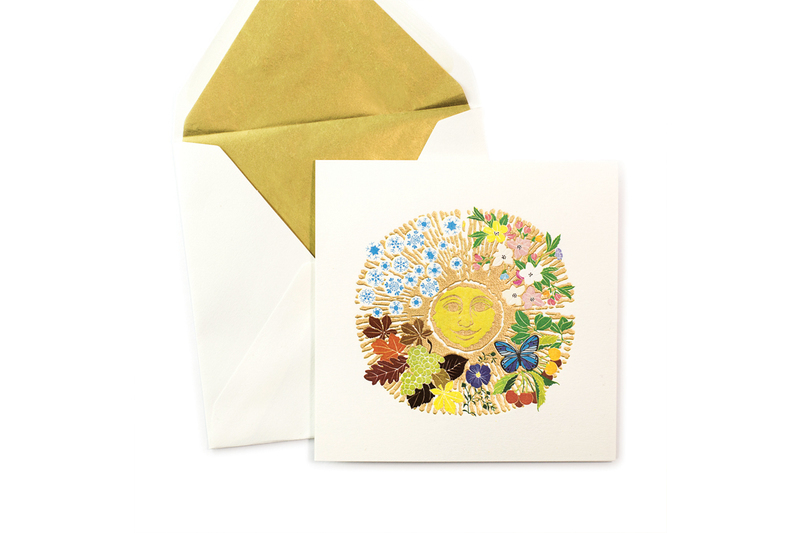 Double card, cotton paper with golden lined envelope.